The FDR is designed to withstand an impact equating to approximately 310mph, but a vertical high-speed dive into relatively shallow water would cause serious damage to it. A Silk Air 737 that dived in to the Musi River in Palembang was obliterated when it hit the water, but the FDR survived and was recovered with useable data. Google Silk Air MI 185. 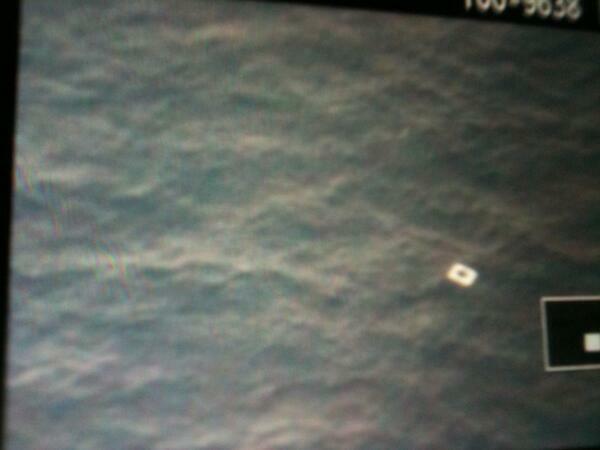 The aircraft nose dived from a similar flight level to MH 370. So if any of the passengers are carrying fake passports, that immediately means it was their fault if it crashed? I'm not down-playing the seriousness of the theft of passports, but it is getting just a little ridiculous. In other (real) news, after the loss of secondary RADAR from MH370, they are saying the aircraft possibly turned around, according to primary RADAR track. The Malaysian authorities say they are examining video of the two individuals traveling on European passports with European forenames and surnames. It will be interesting to see how European they look. lapp, according to Air Canada, there are 16 countries that require API besides the U.S., including China. For those who don't know about ATC radar, I hope the following can help a little. An example of a relatively modern primary surveillance radar (PSR) produced by SELEX - the ATCR-33S - is quoted as having a detection range of 60-100 NM in S-band. I recall that the lower limit is a guaranteed level of performance in bad weather with some failed transmit modules, so a fully functional radar in good weather is likely to exceed the upper limit quoted. They have another model that works in L band which is claimed to have a range of approximately double that - so 100-200 NM. I would imagine that the ranges quoted above would be typical of PSR available in relatively modern ATC systems that wanted primary radar. Legacy systems from the 1970s and 80s would likely be at the lower end of the quoted ranges, but almost anything is possible with enough watts. Military specific radars are likely to have longer ranges. PSR can give some idea of altitude because (some types) can scan "beams" at different angles to the vertical and have processors that convert the angle plus the range into height, but this isn't going to be precise. Secondary Surveillance Radar (SSR) generally has a significantly longer range than primary, because it relies on the aircraft transponder replying to an interrogation pulse. The return signal identifies the aircraft and should by now also include height data. Without confusing matters by attempting to go into the details of Mode-C, Mode-S etc, ADS-B as used by the public air traffic websites relies on an (ad-hoc network of) receiving antennas that eavesdrop on the replies from (extended) SSR interrogations. The receivers decode extended data that is generated by the aircraft, but are susceptible to overlapping transmissions by other aircraft in range, and I suppose by other RF noise. *IF* ADS-B data is received correctly by a receiving antenna *AND* the aircraft was transmitting its position (and altitude) data correctly *THEN* the position reported should be correct. If however the data packets were corrupted by other transmissions, or the aircraft was no longer reporting its position correctly, you could receive anything, or nothing. There are mechanisms (checksums, for example) that should reject corrupted data, but nothing is foolproof. Apologies in advance to those I've offended by errors, omissions or by teaching the art of egg sucking. This was intended to be a simple factual post. As always, corrections are welcome. 2) 5 ticketed passengers failed to board the flight and their luggage was removed (sounds like a lot of missed passengers) a diversion? Point 2 is not unusual. Almost every major accident, someone comes up with some "divine intervention" story of having missed the flight due to traffic / impulsive change of plans / other issues. It turns out that almost every successful flight has a few people who missed or avoided the flight. If that were not the case, airlines would not oversell flights. Failing to board... could be one group got lost in the bar/shopping/restaurant. Not notable. It is certainly NOT a sign of terrorism. What terrorists would want to call attention to the flight (for which something nefarious was in the works) through something like this? Point 1... statistically unusual events do happen. But it might be simpler. This might be two people travelling together... both "needing" fake passports for the same reason, eg migration as suggested in various posts. Some US figures about prevalence of fraudulent documents: http://www.cbp.gov/linkhandler/cgov/...doc_detect.doc Another link suggested 9/11 hijackers had modified documents but I appreciate some of the facts in that case are controversial to many (chances of two passports belonging to hijackers surviving a massive fire unscathed). One can be sure that if the authorities state the problem is X, the real figure will be much, much higher due to those who escape detection. Would not immigration officials at Schiphol receive a passenger manifest of the incoming flight, and check that manifest against a database of reported passport losses, and identify that individual for special attention on entry? No they would not, there is no such requirement in Europe or anywhere else but the US. But surely red lights would have flashed when those two passengers travelling on stolen showed up at the Schengen border at AMS - given that the passports produced to the immigration officer were registered as stolen with Interpol? The transmission power output. Theoretically a 200NM range is possible, but in normal civilian operations unnecessary, and power requirement increases exponentially with target distance. I flew as an f/a doing long haul for years, if I was given a quid every time someone tried to bin or burn their passports in the lavs on arrival into egll I'd be a millionaire, then they would tell immigration they where from a different country,have been persecuted and have just so happened to have lost their passports and please Mr Blair can I have asylum..
About 20 top management employees from semiconductor company Freescale Semiconductor (with HQ in Austin, TX,) were among 38 Malaysians onboard MAS flight MH370. This is journalists taking a sensational approach here. These might have been management prospects but no 30 year old Malaysian based employee of Freescale who can be spared for a month long course is in top management. For anyone familiar with the semiconductor industry, this has as much truth to it as media reporting on aviation details. Location: Often in Jersey, but mainly in the past. My background in Terminal ATC spanned the decades from the old GCA truck MPN11 to AR1 and AR15. In Area Radar (more pertinent here) I spent years working the T82 (with stacked beam height-finder capability) and remotely fed Air Defence T84/T85. Then at LATCC with its multitudes of radars feeding a computerised combining machine that gave the best radar cover for each 15x15 mile box. I suspect the Malaysian and Vietnamese authorities will have some radar recordings to assist, once processed. Whether either one wishes to reveal the extent of their Air Defence radar cover is a separate issue. I suspect there would be discreet hints to their National search assets, but I doubt we would see that revealed. I have read the story about the SR-71 mission several times. I am guessing MS370 was about M.85 at FL350 for cruise. The captain was a 777 simulator fan. Maybe demonstrating something on the real plane? Is there anyway the plane could have exceeded designed speeds in a short period of time so as to disintegrate? Just been informed reuters has a source saying preliminary investigations indicate a in flight disintegration. ..
Having an Eticket issued to a final country does not necessarily mean anything more than sometimes (often) it is cheaper to book a ticket to point D via point B&C than to terminate the journey in B or C.
Canny travel agents and passengers do this all the time. It is called cross border selling. The pax has no use for the final coupon(s) and they just nosho for it. Nothing the airline can do about it, and pax has got himself cheaper fare. If you have the correct ID you can disembark even at transit points, and enter that country with practically no questions asked, expecially within the EU. Arriving pax with an EU passport are not cross checked with the flight manifest or whether their ticket actually permits them to stopover or only transit point B or C from an airfare point of view. Immig is not interested in cross border selling of tickets. They are only interested in whether an arriving pax has the correct documents to enter their country. The US in this regard is much tougher- hence queues to enter the US take several hours to get through. An EU passport holder arriving within the EU, has their passport scanned and off they go...if that. Creative routing my the travel agents. How close is the 772 to coffin corner at FL350 ? An autopilot can disconnect for any number of trivial reasons and a hamfisted attempt to regain manual control at altitude could possibly lead to loss of control and/or confusion as per AF447. Sky News just reporting that they have VERIFIED a photo showing what appears to be part of an aircraft door as an actual photo from the search. They also say they have another photo showing a tail fin (but refused to show it pending verification). "The fact that we are unable to find any debris so far appears to indicate that the aircraft is likely to have disintegrated at around 35,000 feet," said the source, who is involved in the investigations in Malaysia. If the plane had plunged intact from such a height, breaking up only on impact with the water, search teams would have expected to find a fairly concentrated pattern of debris, said the source, speaking on condition of anonymity. Reuters goes on to say that the source spoke before reports indicating wreckage/debris had been spotted. I think some carriers scan in the image of each passenger's passport for each flight to help any unfortunate in-air misplacing of docs. I recall one of the telly Airport-like programmes mentioning this in the past. Can any ACARS expert state whether previous flights of MH370 would have had confirmed ACARS tx/rx of regular information, I.e positions at a given location? Is it so that ACARS connects to a series of downlink stations and whichever answers first establishes the connection gets the message (removing the out of range issue?). Coagie, do you have a reference for the claim that the French submarine was not listening for the right signal from the AF447 black boxes? I find it very hard to believe. People generally are not that stupid. Sonar operators (if that is how they were listening) would have in depth technical knowledge of their equipment.